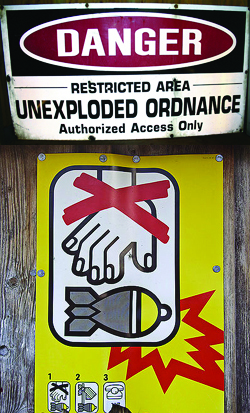 Brought to you by UXOInfo.com and it's Management Company, Ordnance Holdings, Inc. (OHI), UXOEscorts.com is a field support service providing experienced Unexploded Ordnance (UXO) Technicians for the environmental and UXO industries. At UXOEscorts.com - we have a network of available and experienced UXO Technicians ready to support any UXO related project. Our Escorts are fully compliant with all OSHA and Department of Defense Explosive Safety Board (DDESB) Standards. Providing fully-qualified UXO Technicians Levels I, II, III, UXO Safety Officers (UXOSO), UXO Quality Control Specialist (UXOQCS), and Senior UXO Supervisors (SUXOS) based upon the needs of your project.